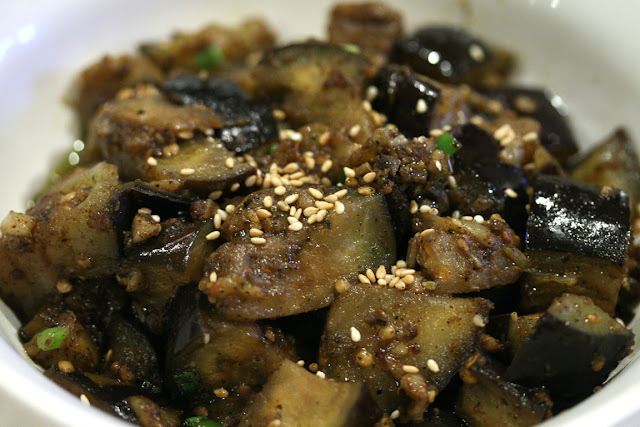 Easy-to-Cook Eggplant w/ Toona (Black Bean Paste) Paste. Just cook Eggplant (use oil to cook and add water while cooking) with Toona Paste and add some chili oil. Use Scallions and Toasted Sesame Seeds for garnish.